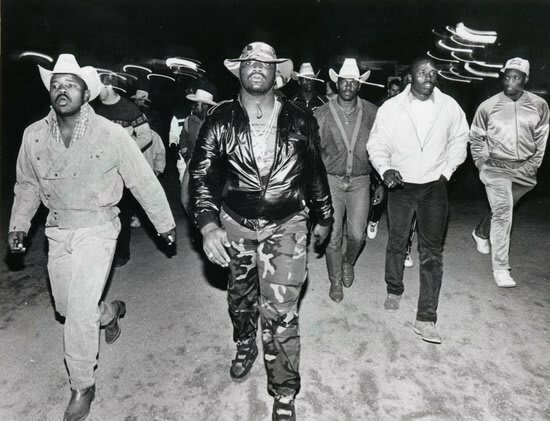 Possibly the best Miami team ever, the '86 squad ushered in the Thug U Era in Miami, and began the tradition of questionable military metaphors at the U (see: Winslow, Kellen). Arriving for the Fiesta Bowl national championship game in combat fatigues, Vinny Testaverde, Michael Irvin, Jerome Brown and co. offended even more folks when they walked out of a promotional dinner with their opponent Penn State (Brown's explanation: "Did the Japanese go sit down and have dinner with Pearl Harbor before they bombed them?"). Would rank much higher on this list if they'd, you know, actually beaten PSU for the title that year.